It wouldn’t be baseball without the bases, right? Sets of bases run between about $300 and $600. Breakaway bases, which will release from their anchor on hard impact , are used in all of youth baseball, most high school baseball and increasingly in college and the minor leagues. 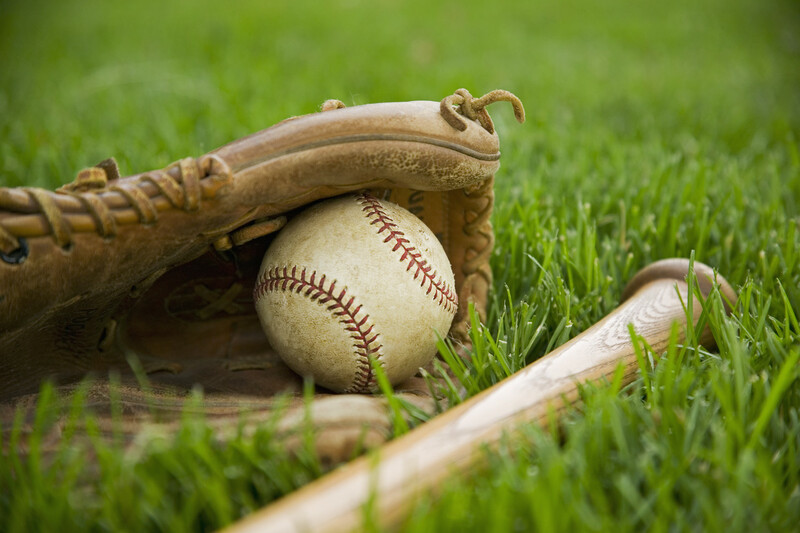 The breakaway bases in youth baseball release with less impact than would be required to dislodge the equipment used with the older age groups. Little League (and softball of just about all ages) uses something called a double first base, which has white half in fair territory and a orange half in foul territory. The defense (first baseman) puts his foot on the white half to try to record an out whereas the offense (baserunner) uses the orange half to try to beat the throw. This set up is to avoid injuries. 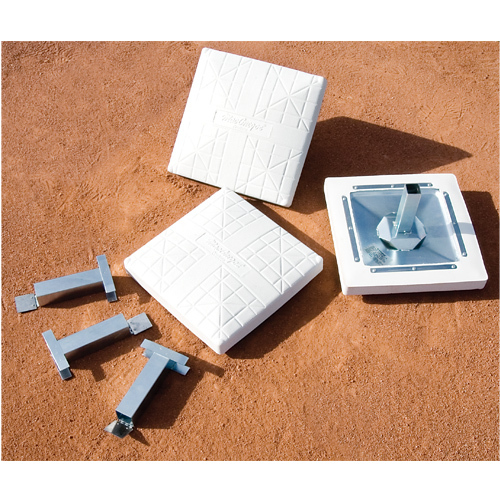 While not technically a base, a baseball field also needs a pitching rubber, which should run between fifteen and seventy dollars. Drag mats are giant rakes used by the grounds crew to rake the infield dirt. They can be quite expensive — up to a $800 — and some are designed to be pulled by carts or tractors. There is probably not going to be drag mat at a Little League Game, but you might see them in high school, college and certainly the minor leagues. Specially designed rakes and brooms for for grooming the infield dirt. They should cost less than $100, making them economical alternatives (as well as compliments)to drag mats. 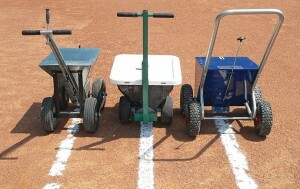 Sometimes called chalkers, these push-cart like devices are used draw in the foul lines and other demarcations on a baseball field. While most use chalk, there are also spray marker systems which use white paint to form the lines. There are all sorts of different types of equipment to remove water from a baseball field. They include rollers, non-absorbent squeegees and rain out, a chemical which makes dirt dryer. 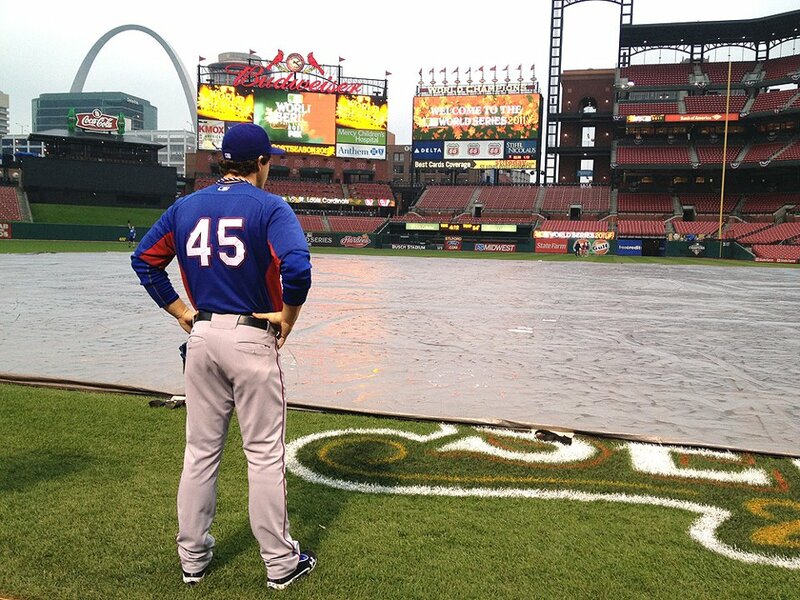 Water pumps and water pillows, which are placed in a puddle and act to absorb all of its water, can also be used to dry a baseball field prior to a game or during a rain delay. Field covers, or tarps, are used to protect a baseball field when there is no game action or when it has begun to rain. They range greatly in price, from $50 to $1500 depending on their size. Some field covers just go over the base areas and the pitcher’s mound. Others, called full-field covers or winter covers, go over the entire infield area. 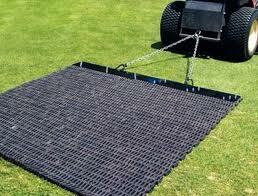 Some of the more expensive field covers come with a roller which distributes the tarp evenly over the field. Sandbag are typically used to weigh the tarp down. Foul poles are needed in any baseball field with a wall to determine if home runs are fair or foul. They tend to have a net like area that sits on the fair side and “catches” fair homeruns. 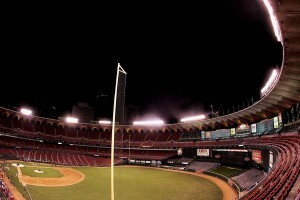 The cheapest foul poles cost a few hundred bucks and can be attached to a chain-link fencing. These are fine for Little League, but for a higher level you probably need need proper foul poles, which are going to run somewhere between $3000 and $800 for a set.